The web is a big place, but competition is still fierce when it comes to getting your site to stand out among the clutter. While measures like boosting your SEO have their place, sometimes a simple tweak to your site’s appearance can promote user engagement and translate to better leads. Therein lies the value of Dessign Premium’s WordPress Themes and lifetime memberships are on sale for $29. 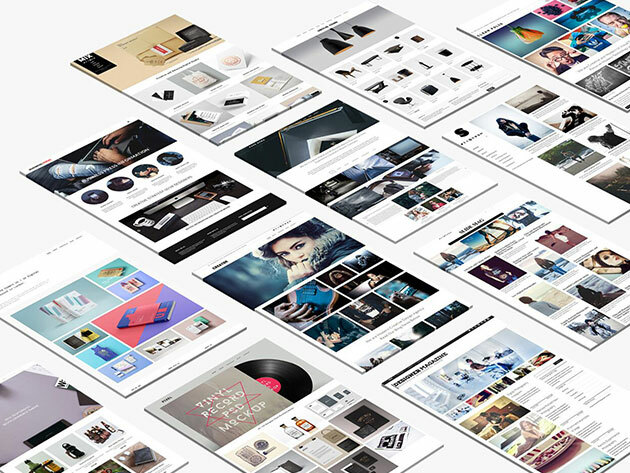 Whether you run your own website or build others for a living, this collection of premium themes boasts more than 180 fully responsive, aesthetically beautiful themes designed to make your site(s) stand out. You’ll get lifetime access to a continually updating library and a license that permits use on an unlimited number of sites, so your future WordPress sites will never be short on style. These themes have been featured on Mashable, Creative Bloq, Tripwire Magazine, and more big-name sites, and they include built-in SEO to help you get to the top of those crowded Google searches. Normally retailing for $100, lifetime memberships to Dessign Premium WordPress Themes are on sale for $29, saving you over 70% off.